Downtown Eau Claire’s Grand Avenue footbridge is closed to pedestrians and undergoing a makeover. 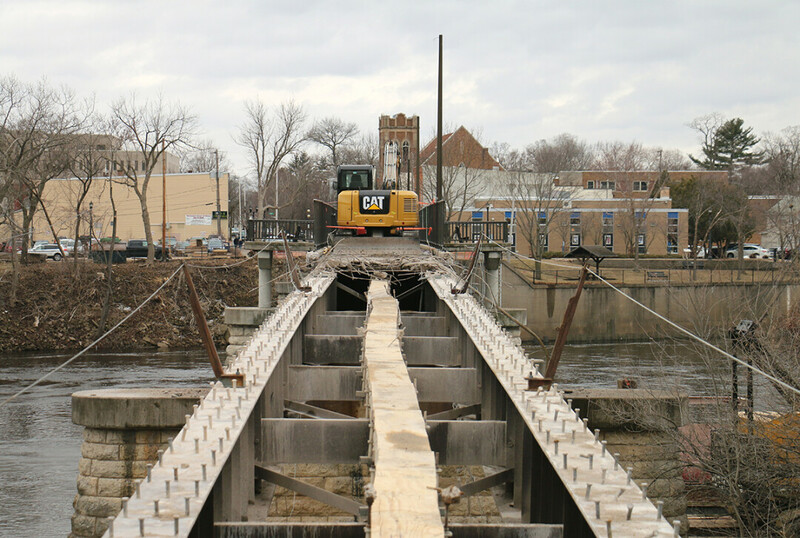 The city of Eau Claire’s engineering department is collaborating with Ayres Associates to replace the bridge deck and to add a safety railing, more overlooks, and lights. When finished, the bridge’s deck will measure two feet wider than before. The resurfaced bridge will feature four more overlooks – for a total of six – and the new decorative lighting will double as a safety feature at night. 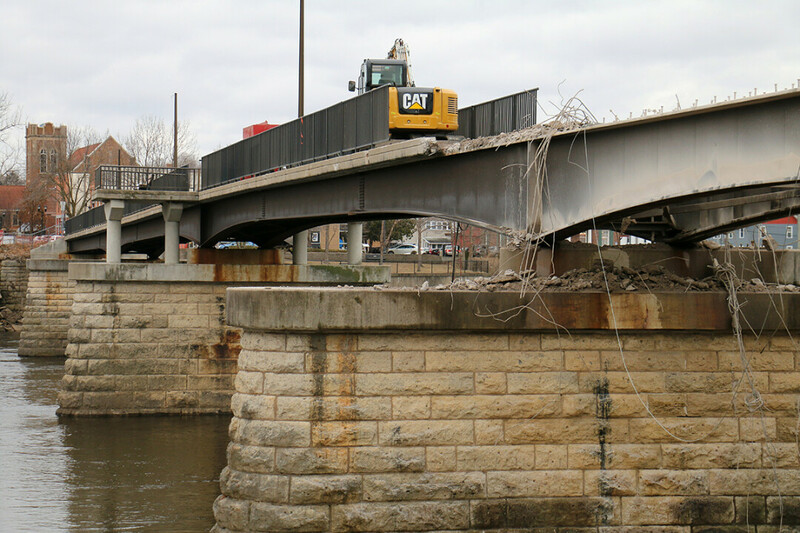 “We inspect our bridges every two years for safety,” Eau Claire Engineering Director David Solberg said. “It was noted by the bridge inspection firm that we needed a new walking surface.” He said the bridge, which is approaching 50 years old, is in good shape underneath, so they’re only doing a partial remodel. Solberg said the project is expected to be completed by Aug. 8 and to cost just under $1.8 million.